In just a matter of months, your kid will be heading off for another school year. And while actual, bound, paper books are sure to be important, chances are they'll also use technology to learn. As such, they'll probably need a laptop. Fortunately, there will be no shortage of deals to be had on these machines in the upcoming back-to-school shopping season. Here's how to find the best prices. Last year, we saw prices on laptops reach record lows, with the price for a machine with a 15" screen and a Haswell i5 processor (two generations old at that point, but still a good value) dipping to $330. So can laptop prices go any lower? They can, they have, and they most likely will some more. This year we've seen machines for as cheap as $300, but with a newer (i.e. better) Broadwell i5 processor. Moreover, we've even already seen current generation Skylake i5 laptops for the same price ($330) that we saw for those Haswell laptops just a year ago. This summer, you can expect prices to continue to decrease; Skylake i5 machines bottomed out at $449 in 2015, which means they've since dropped by 27 percent. Such laptops should be sufficient for most students, but you can expect to see even the more powerful i7 machines to decrease in price from their current lows of $550 for current generation Skylake processors and $400 for the previous generation Broadwell i7 laptops. You will see back-to-school sales on laptops at most major retailers, but obviously some sales are better than others. Newegg accounted for 20 percent of our Editors' Choice deals on laptops from June to September in 2015, offering great prices on not only new machines but refurbished laptops, which are another way to make your dollar go further. Best Buy also offered a significant number of Editors' Choice deals on new machines, while its CowBoom branch had an equal number of EC deals on used machines. Other noteworthy retailers include Microsoft Store, Adorama, and Walmart. Also be sure to check with manufacturers like Lenovo and Dell who will likely have sales of their own. You can find sale prices on laptops throughout the summer; however, we saw the greatest number of Editors' Choice deals in August last year. But although September had 4 percent fewer deals than the previous month, you can anticipate many retailers to make deeper price cuts for Labor Day weekend. For example, Dell Outlet bumped up its discount from 35 percent the month before to 45 percent off for the holiday. Especially when it comes to computers and software, students are often able to get the best deals. Apple, Microsoft Store, Best Buy, Dell Home, and Amazon frequently extend special prices to students (and teachers) with a valid .edu email address. Although it may seem counterintuitive, as we've told you many times before, if you want to buy a Mac, don't go to the Apple Store. You will always find a better deal elsewhere, and it's no different when shopping back-to-school sales. Last year, we saw the best Mac deals at Best Buy and B&H Photo and Video, who offered a new MacBook Air for more than $100 less than what Apple was charging for a refurb. 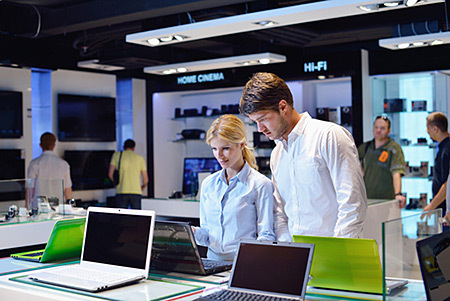 Unless you are a first-time buyer, chances are you are buying a new laptop to replace an older one. Instead of letting that machine gather dust, get some cash towards your new laptop by trading it in. Microsoft offers a minimum of $200 towards a new Dell laptop priced more than $599 when you trade in your old machine, and Best Buy has a similar program. 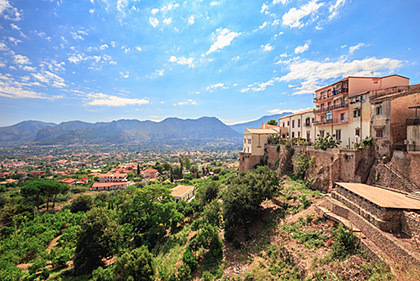 If you're still due for a summer getaway or just yearning for an escape after a long summer, there's still time to take that much-needed trip to another city, trek across the country, or even go abroad. The late summer months can be the perfect time to take a trip - especially if you're heading to a destination that's currently in its off-peak season. Budget-minded travelers can find dozens of last minute deals and low rates at non-traditional travel websites. Even if you haven't had a lot of time to plan that unforgettable summer vacation, you can find unbeatable deals on hotels, flights, attractions, and travel packages around the globe. 1. Check city tourism sites. Many major cities looking to drum up business in the sluggish late summer season post discount hotel deals and packages for tourists, as well as for locals looking for an excuse to take a "staycation." For example, the Choose Chicago site lists dozens of hotel deals throughout the season, along with current deals for tours, attractions, dining, shopping, and nightlife. Browse websites owned by the city's tourism board or visitor's bureau for trip ideas and tips on local deals. Sites like these can be a great resource for putting together your own budget-friendly travel itinerary. 2. Shop the secret sales. Willing to take a chance? Travel sites like Travelocity post Top Secret Hotels, where you can snag unpublished discounts. The catch is that you don't know which hotel you're booking until you complete the checkout process. Travelocity promises that the hotels participating in this promotion are all 3+ star hotels and will grant a discount of up to 55 percent off standard rates. You'll also know what the rate is upfront and the booking is guaranteed to be the lowest price at that hotel for 24 hours after you book. Similar sites might list amenities and even a photo or two of the mystery hotel. You'll learn what the hotel is after you've made and paid for the reservation. 3. Book at the last minute. If you have a few days or a week off work for your summer vacation, be flexible with your travel dates so you can secure a last-minute package. Third-party sites, including Expedia and Hotwire, post last-minute deals daily and some can even be for same-day travel. For example, weekend rates for the Crowne Plaza Miami International Hotel posted for just $97 per night for upcoming weekend travel on Expedia's last-minute travel section. Hotwire advertises last-minute hotel deals in the Caribbean starting at $69 per night. Keep your eyes peeled for some great bargains on hotel rooms and travel packages to save money and enjoy a low-cost summer vacation. 4. Travel over midweek dates. If you're looking for the lowest hotel and airfare prices during the late summer months - and especially to a coastal destination or to a city that's in its peak season - plan on traveling during the middle of the week. Hotel rates increase significantly over the weekend and even more so as we approach Labor Day Weekend. Plan your trip a couple of weeks before Labor Day to avoid heavy crowds and choose travel dates that take you in and out of the destination in the middle of the week. The late summer months are the perfect time to travel to Europe or Australia. If you're ready for a more adventurous retreat, set your sights on an overseas destination so you can secure some great rates for hotels and airfare. Do some research to find out which foreign cities are currently in their off-peak travel season so you can get the lowest possible rates on that travel package. 6. Search for local deals. Play like a local to find discounts on area activities, restaurants, spas, and even hotels on daily deal sites like Groupon and LivingSocial. You'll need to subscribe to different cities of interest to see these deals. You could save up to 75 percent or more on a good portion of your travel costs and end up saving even more if you're heading to an off-peak travel destination this summer. Do your research to find out which cities listed on these daily deal sites are in their shoulder season or low season, and plan accordingly. As we've noted before, car dealers - who've suffered through several years of depleted used-car inventories - are facing what amounts to an embarrassment of riches as a large volume of two- and three-year-old vehicles will be coming off leases in the months ahead. According to data compiled by the J.D. Power Information Network, the number of off-lease models returning to market will increase by around 800,000 units this year, which represents a 33% boost over 2015. While dealers will no doubt benefit from the added stock - used cars typically command a higher profit margin than do new vehicles - the swelling supply will cause pre-owned vehicle prices to plummet. Already, the NADA Used Car Guide's seasonally adjusted used vehicle price index dropped by 3.6 over the first quarter of 2016, which is the first year-over-year dip since the onset of the Great Recession. That's when new-car sales crashed and several automakers temporarily exited the leasing market, which left used-vehicle lots depleted for several years from an initial lack of trade ins, and fewer off-lease models entering the pre-owned market down the road. 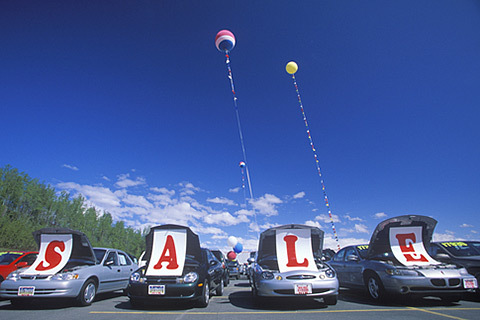 Used-vehicle prices subsequently jumped by more than 18% in the ensuing years, according to J.D. Power; Edmunds.com reports they reached a record average $18,600 last year. This is unprecedented for what is typically a depreciable asset. Fast forward to 2016 and, depending on the source, used-vehicle prices are expected to fall by anywhere between 2.5% and 6% by year's end, which would place them at their lowest point in this decade. According to Experian Automotive, astute used-vehicle shoppers should be able to strike the best deals on what have been among the most-leased models over the past two or three years. Though the industry's most-popular vehicles, the Ford F-150 and Chevrolet Silverado full-size trucks, aren't represented (while on the upswing, pickup leasing still isn't as prevalent as it is with passenger cars and crossovers), they include entry-level and luxury crossover utility vehicles, standard and lower midrange sedans, and near-luxury/upscale vehicles. Altogether, the top 10 most-leased vehicles represent 28 percent of all cars and crossovers coming off two- and three-year leases that are headed back to market. Experian says shoppers should expect to find the best off-leased used-car bargains in and around cities that have the greatest volume of vehicles coming off lease, specifically the New York, Los Angeles, and Detroit metro areas. We're featuring a list of the 10 most-leased models on their way to used-car lots with what we assume will be bargain prices, in the accompanying slideshow, along with a range of current retail used-car values (for 2013 models with 34,000 miles) via NADAguides.com (negotiated transaction price should be lower by a few percent).